Writing on her Facebook account Ms Yingluck remained adamant on her innocence saying “I did nothing wrong” and insisted on proving it. Without elaboration, Ms Yingluck said there had been attempts to create conditions that had served as a guidance in the rice-pledging scheme case which was scheduled to have a final verdict handed down on August 25. But she said she would fight on to prove her innocence through her delivering of the closing statement on August 1. She said that although all her bank accounts are now impounded and her assets are going to be confiscated, despite the fact that she had petitioned the Administrative Court for an injunction, she remains strong and is ready to fight and prove her innocence. “The government has chosen to do it (attempting to influence the case) as it thought it has the power and can do anything they want, including not awaiting the ruling by the Administrative Court on the petition I filed with it for injunction of the execution of the case,” she said. Ms Yingluck said she would turn support from her Facebook fans and fellow supporters into power to boost her strength and tolerance. 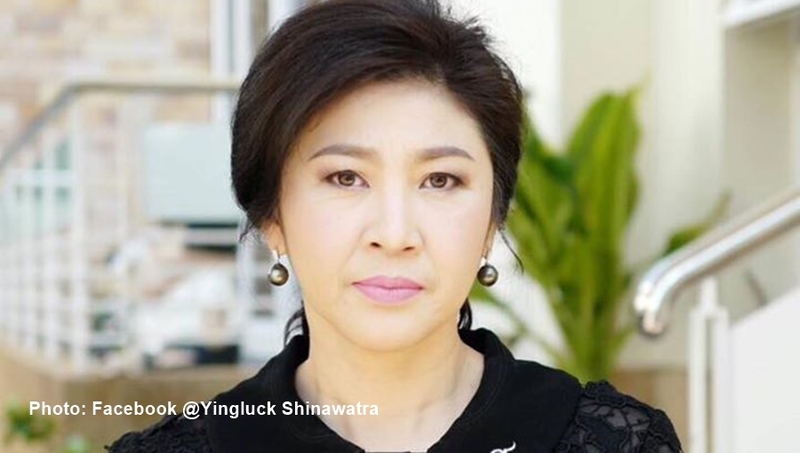 Ms Yingluck’s comment on the case came after the committee for the examination of her assets has submitted a list of her 12 bank accounts to the Legal Execution Department as part of the process to seize her assets under an administrative order. Ms Yingluck has been ordered by a government committee to pay 35.1 billion baht in damages allegedly incurred by her rice-pledging scheme. Finance Ministry permanent secretary Somchai Sajjapong said on Monday the list of the 12 bank accounts of Ms Yingluck was sent to the Legal Execution Department two weeks ago, but declined to disclose the amounts in them.